Sion will be looking to bounce back from a 3-2 loss to Olympique Marseille when they square off against Rennes in yet another friendly game. Following back-to-back wins over Chiasso and Servette, Sebastien Fournier’s men experienced all sorts of problems at the back in the defeat to the Ligue 1 outfit, but they are definitely capable of grabbing something from Saturday’s football match against Rennes. Gregory Karlen found the net in the 3-2 defeat to Olympique Marseille and he will be the man to watch in the home team. Rennes, on the other hand, will play their first warm-up game of the pre-season against the Swiss outfit and, no doubt, they want to kick off their preparations for the 2017/2018 Ligue 1 campaign in style. 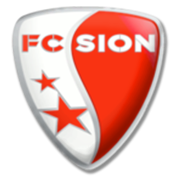 Seeing that both teams are likely to go for a win, we predict that both Sion and Rennes will score in Saturday's friendly game. Stade Rennais Football Club or simply Rennes is a French football club which was founded on March 10, 1901. The club is one of the founding members of the French Ligue 1 and they are nicknamed Les Rouges et Noirs. Roazhon Park is the club’s home ground and the venue can hold 29.778 people. Rennes have yet to win the Ligue 1 trophy, but they won Coupe de France title on two occasions (1964/1965, 1970/1971). Speaking of Coupe de la Ligue, les Rouges et Noirs made it to the final of the competition in the 2012/2013 season, but they were beaten by Saint Etienne (1-0) in the title game at Stade de France. A number of top-class footballers played for Stade Rennais Football Club in the past and the likes of Sylvain Wiltord, Yoann Gourcuff, Yann M’Vila, Moussa Sow and Jimmy Briand are considered the club’s most notable players. Rennes footballers wear black and red jerseys when playing at home, while they wear white when playing on the travels.